Here's all our Pokemon Ultra Sun and Ultra Moon guides in one handy location, showing you how to beat tough boss encounters, capture all the new Pokemon, and reach all the brand new locations in the game. All you need to know about the Alola Photo Club and How to Farm Money Quickly. Pokemon Ultra Sun and Moon takes the original Sun and Moon games, released right around a year ago, and puts a new twist on them, taking the player through many new areas and adventures in the Alola region. This Pokemon Ultra Sun and Moon guidewill walk you through every new and intriguing aspect of the new Pokemon title, including all the new Ultra Sun and Moon Pokemon, as well as all the new Ultra Beasts making their debut in the series, as well as how to find all the Pokemon Ultra Sun and Moon Totem Stickers. Firstly, if you're slightly confused about what Pokemon Ultra Sun and Moon actually are, then allow us to explain. They aren't a simple re-release of Pokemon Sun and Moon, as they contain brand new areas, stories, characters and, most importantly, new Pokemon for you to capture. Make sure to check out our in-depth Pokemon Ultra Sun and Moon guides list just below, for a complete breakdown of areas like all the version-exclusive Pokemon, as well as Team Rainbow Rocket, and more. There are brand new styles for you to choose at the beginning of the game. But what are all the new features of Pokemon Ultra Sun and Moon? Throughout the Pokemon Ultra Sun and Moon guide just below, we'll focus on highlighting all the new content in the updated versions of the game, as well as going over some content that was previously available in Pokemon Sun and Moon, just in case this is your first time playing either version. Rowlet - The Grass-type Pokemon, Rowlet is fairly well balanced by the time you evolve it, but it is very weak to Fire-type Pokemon. Litten - Litten is the Fire-type Pokemon of the group, and excels in general destructivity, although any Water attacks will hurt it heavily. Popplio - The Water-type Popplio is weak to Electric-type Pokemon, although if you can evolve it into its final form, it'll have a few nice Special moves at its disposal. Meet Rowlet, Litten, and Popplio. But once you've got your hands on your starter Pokemon, what should you do? Well, we'd recommend you head out into the wilds and level up your main Pokemon, although you've got to remember that you shouldn't play favorites with your chosen Pokemon. If you neglect leveling up your other Pokemon, you'll find you have an incredibly weak team later on in Pokemon Ultra Sun and Moon, and what you want is a well balanced team, so make sure to keep switching up your Pokemon fairly regularly. Aside from this, we'd also recommend not running away from wild Pokemon battles early on in your time with Pokemon Ultra Sun and Moon. Instead, you should use these opportunities to level up your Pokemon, and simply head to the nearest hospital whenever you need to, in order to get your team healed up. You should also take on any Pokemon Trainers you encounter early on, as these battles give your Pokemon way more XP points than battles with wild Pokemon, providing that you make it out victorious, of course. You’re never going to be hurting for money when it comes to keeping on top of revives and potions, but just how can you earn enough to buy all those clothes? All those TMs? All those other exotic items? It’s not too difficult if you have a team that can pull it off. If you’re in the Ultra Sun and Moon post-game, it won’t take you long at all! There are a few preparations to make before battling, however. First, you’ll want to make sure you have the Amulet Coin item. If this item is being held by a pokémon that actively participates in the battle and survives to the end, the amount of money received at the end is doubled. It’s a must-have if you’re planning to farm for money. You can find it very early on it the game, in the Paniola Ranch. It’s located just to the right of the Daycare Centre. Meet the brand new Roto Loto! Happy Hour is a very exclusive move in that it’s impossible to obtain without the use of an event pokémon. It’s worth trying to get one though, because simply using the move is enough to double that battle’s prize money. Fortunately it’s currently very easy to obtain, as the Rockruff that you need to evolve a Dusk Form Lycanroc happens to know the move. You can read up on how to acquire this Rockruff in our Dusk Form Lycanroc guide. While hard to acquire without manipulation, the Roto Prize Money power triples your earnings for a period of ten minutes at a time, and you’ll get two for landing on it in the Roto Loto. Fortunately, there’s a way to ensure you land on it, but it’ll take some time if you’re unlucky. 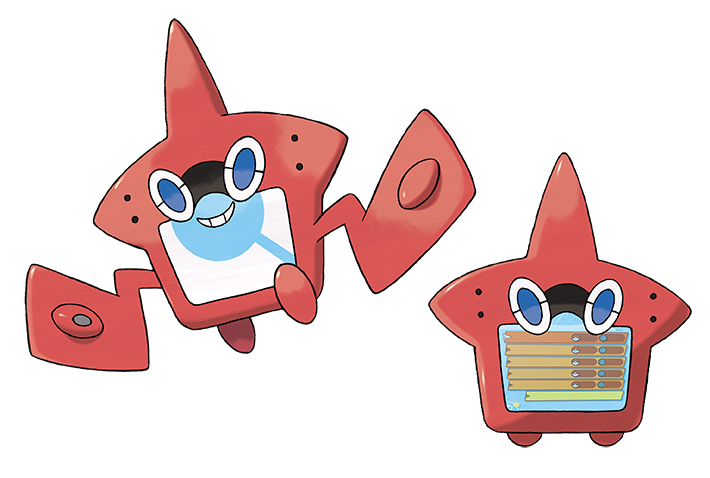 If you save the game while Rotom’s eyes are flashing on the bottom screen, you can simply soft reset the game in order to roll again. Therefore, you can keep rolling until you get this power, so long as you have the patience. The easiest place to farm for money is at the Elite 4. As the Roto Prize Money power lasts for 10 minutes, you can squeeze in every battle here if your team is strong enough. By the time you’re farming for money, they will be! With the Roto Prize Money power active, and with the Amulet Coin on an active pokémon, you’ll be earning a whopping 79,200 per Elite 4 battle. If you have the elusive Lucky Hour, that’s over 100k per battle! Do this a few times and you’ll be a millionaire before you know it! Team Rainbow Rocket are buried in the endgame content. Whether you’re filling out your pokédex or are building the next best competitive team, you’re going to need some Exp to get the job done. Fortunately, it’s easier than ever to farm for Exp. Before we start, there are a few places we need to visit. There are two main ways to obtain a Lucky Egg, although they’re both only possible at the end of the game. The first of these, and the easiest to obtain, is to talk to Professor Kukui on Route 1, after beating the Elite 4. If you have registered at least 50 pokémon in your pokédex, Kukui will hand over a Lucky Egg. The other option, which is only worth doing if you want multiple Lucky Eggs, is to find Chansey in the Poni Plains. By lowering it’s HP, and using an Adrenaline Orb to speed up the process, there’s a chance that Chansey can SOS summon a Blissey. This Blissey has a 5% chance of holding a Lucky Egg, so be sure to have a pokémon with you that has the Frisk ability, so you know which one to catch. While it’s possible to use the Roto Exp. Points power for a boost during Exp farming, the boost it provides isn’t so large that it’s absolutely mandatory to obtain. In this case, use it if you have it, but don’t worry if you don’t. Fortunately, you already know where to go for the most Exp! Interestingly, it’s the Chanseys and Blisseys from Poni Plains, as these pokémon give an abnormally large Exp reward on defeat. The best part of this method is that by keeping one pokémon in the battle on low health and using an Adrenaline Orb to speed things up, you can keep knocking out the Chanseys and Blisseys that show up for a huge chunk of Exp when the battle ends. 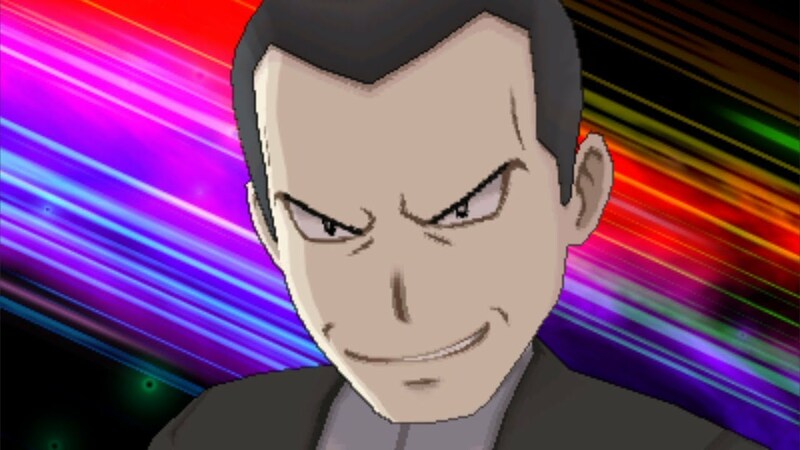 The first thing that everyone picking up Pokemon Ultra Sun and Moon is going to want to know is how to get hold of all the new Ultra Sun and Moon Pokemon in the game. Just below, we've got a list of the brand new Pokemon in Ultra Sun and Moon, as well as their type and evolutionary chain, on top of where you can find them across Alola. Poipole - This poison-type Pokemon will eventually evolve into the brand new Naganadel. In both Pokemon Ultra Sun and Ultra Moon, you can obtain Poipole as a gift from Ultra Recon Squad in the city of Ultra Megalopolis. Naganadel - The evolution of the aforementioned Poipole, this more powerful Pokemon can only be evolved from the base Poipole, and it won't be available to caught out in the wilds of Pokemon Ultra Sun and Moon. Stakataka - This Pokemon combines elements of both the Rock and Steel types of Pokemon, has no gender, and can only be caught in Poni Grove in Pokemon Ultra Moon. Blacephalon - Another Pokemon that carries two element types, Blacephalon has both Fire and Ghost attributes. Like Stakataka, this new Pokemon can only be found in Poni Grove, but this time only in Pokemon Ultra Sun. The new Dusk Form Lycanroc. With both Stakataka and Blacephalon, you'll need to find them in their respective versions of the game, and then trade them over to the other version of Pokemon Ultra Sun/Moon. This method of obtaining them in the other version of the Pokemon Ultra Sun and Moon isn't ideal, but as of right now it's the only workaround. The Pokemon listed below aren't actually brand new Pokemon in Ultra Sun and Moon, but they're modified versions of existing Pokemon. 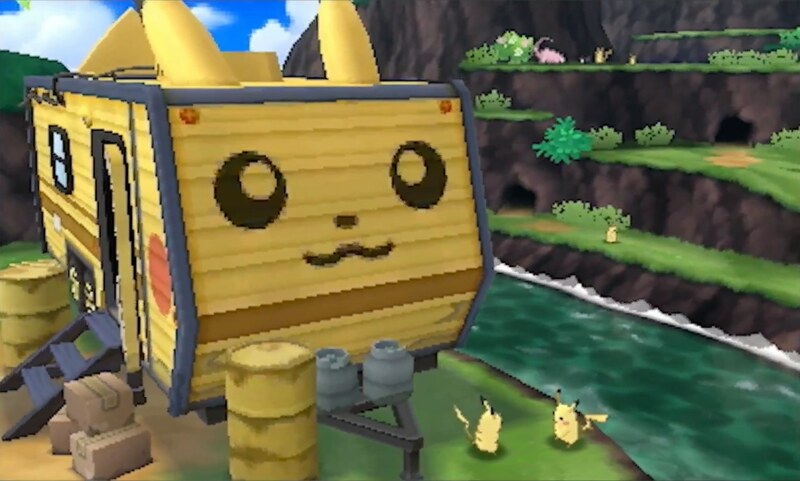 For example, the Partner Cap Pikachu found in Pokemon Ultra Sun and Moon is a modified version of the base Pikachu, which can be found in both versions of the game. Just below, we'll highlight all of the new Pokemon forms in Ultra Sun and Moon, as well as telling you exactly how you can get hold of them. Partner Cap Pikachu - Unfortunately, this Pikachu (which was previously only available in Pokemon GO) can only be obtained in Pokemon Ultra Sun and Moon by scanning in a special QR code. We'll update this should it change, but as of right now this is the only way of obtaining the Partner Cap Pikachu. Dusk Form Lycanroc - Although this Dusk Form Lycanroc was previously only obtainable through a special pre-order, you can get it by evolving a special Rockruff, that has the Own Tempo Ability. Rockruffs are extremely common Pokemon Ultra Sun and Moon, so all you need to do is find one with the Own Tempo ability, and level it up until it evolves. 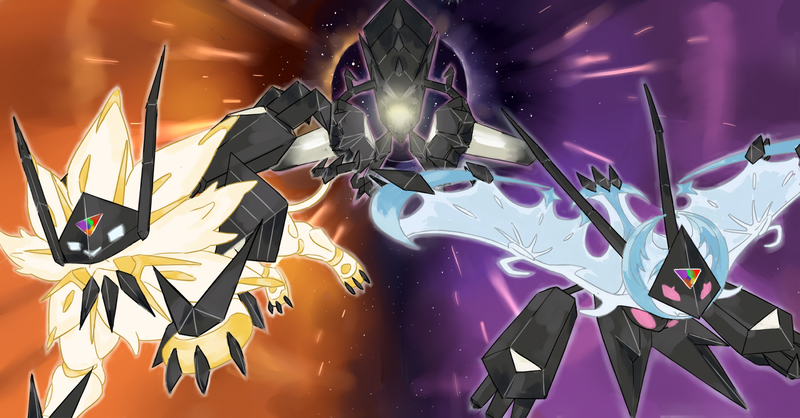 Dusk Mane Necrozma - The first of two new forms for Necrozma, the Dusk Mane Necrozma, can only be obtained through fusing Solgaleo with the base Necrozma, and using the N-Solarizer, in order to unlock Dusk Mane Necrozma. Dawn Wings Necrozma - This Pokemon is the counterpart to the Dusk Mane version of Necrozma. In order to get your hands on it, you'll need to fuse Lunala with the base Necrozma, and the N-Lunarizer. Ultra Necrozma - This form of Necrozma actually follows on from the previous two versions, as you'll need to use either of them with an Ultra Necrozium Z, and then use an Ultra Burst when prompted. 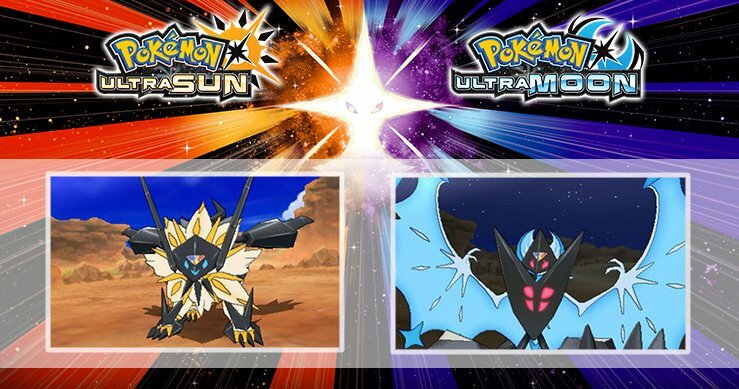 Here's Dusk Mane Necrozma, and Dawn Wings Necrozma in Pokemon Ultra Sun and Moon. So although Pokemon Ultra Sun and Moon has a total of five new forms of Pokemon in both games, none of them can be found out in the wilds of Alola. Arguably the most important new addition for Pokemon Ultra Sun and Moon is the inclusion of brand new Alola regions. 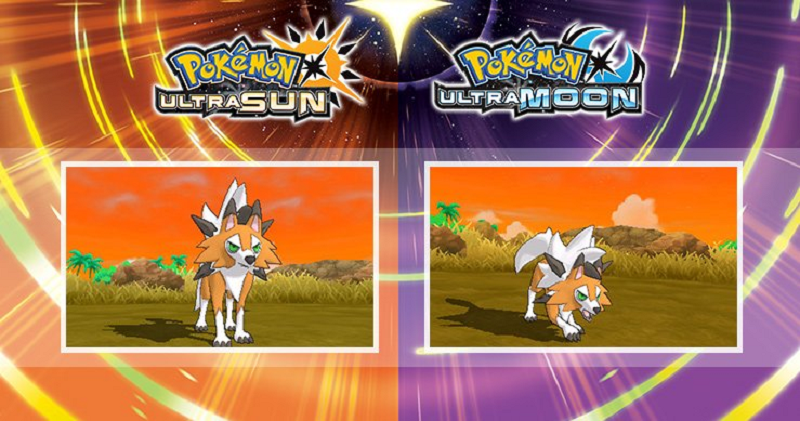 There are two new regions that you can travel to in Pokemon Ultra Sun and Moon, both of which we've detailed everything we know about just below. Big Wave Beach - Situated on the coast of Alola, this area is populated by large numbers of surfers, as well as a Mantine that has a Poke Ride harness attached. Valley of Pikachu - Pictured just below, you can find hordes of Pikachu throughout the valley, as well as a mysterious Trial Guide. Get ready to visit the Valley of Pikachu. Just like every other region of Alola in Pokemon, there are likely secrets waiting in both the Big Wave Beach and Valley of Pikachu, just waiting to be uncovered. As always, we'll be updating our guides with any new information we come across about either location, directing you to some of the highlights of both regions. As for the Pokemon Ultra Sun and Moon Ultra Beasts, we've actually been over a few of them already. The new additions to the lineup of Ultra Beasts are Poipole, Naganadel, Stakata, and Blacephalon, all of which we've already highlighted. We'll outline the other Ultra Beasts in Pokemon Ultra Sun and Moon just below, to give you a clear picture of some of the most powerful Pokemon in the game. Nihilego - Only after you've obtained the ability to explore Ultra Space, can you find Nihilego in the Ultra Deep Sea within the White Wormhole. Nihilego is level 60, and for it to attack, you must sit in the chair at the end of the long corridor. Buzzwole - In the Ultra Jungle region of the White Wormhole, you must follow the vines connecting the trees upwards to the tallest tree, and only then will Buzzwole appear and attack you. Pheremosa - You'll have to complete multiple strength puzzles using the Machamp Shove ability, if you want to make it through the Ultra Desert region of the White Wormhole and initiate a battle with Pheremosa. Xurkitree - When you reach the very top of the Ultra Plant area within the White Wormhole, the Xurkitree you find there will be struck by lightning, and attack you every time you visit the area. Celesteela - In the Ultra Crater region of Ultra Space, you'll find a series of small craters that you can explore. On every visit to the region, Celesteela will always rise from the ground once you reach the final, larger crater. Kartana - In the Ultra Forest area of Ultra Space, you'll come across one peaceful and two hostile Pokemon trainers, the latter two of which will both be using Kartana. Once you've made it past them and reached the end of the area, a free Kartana will attack you. Guzzlord - Finally, you can find Guzzlord in the Ultra Ruin region of Ultra Space within the White Wormhole. As you journey through the region, you'll explore the ruins of Hau'oli City, and at the very end of the ruins, you'll find a Guzzlord that you can initiate combat with. Aside from the four Ultra Beasts mentioned at the top of this section, you'll have to head through the White Wormhole and into Ultra Space, if you want to track down and capture any of the additional Ultra Beasts that we've listed just above. A concept originally introduced back in Pokemon Sun and Moon, a Z-Move is a special attack that only a certain number of Pokemon can pull off, usually either knocking their foe out cold, or delivering massive amounts of damage to them in one go. Just below, we've outlined all the brand new Pokemon Ultra Sun and Moon Z-Moves, as well as highlighting which Pokemon can pull of which moves. Clangorous Soulblaze - This Dragon-type attack deals 185 damage from the Kommo-o that uses it, boosting all it's stats by 1 increment in the process. Splintered Stormshards - This attack eliminates any effect on the battlefield, deals 190 damage, and can be used by any form of Lycanroc. Let's Snuggle Forever - Used by either standard or Totem Mimikyu, this Fairy attack deals a total of 190 damage. Searing Sunraze Smash - Solgaleo deals massive damage of 200 with this Steel-type attack, ignoring any of the target's abilities. Menacing Moonraze Maelstrom - The counterpart of Solgaleo's Z-Move, Lunala doles of a total of 200 damage with this attack, also ignoring the target's abilities. Light That Burns The Sky - The Ultra Necrozma that we mentioned earlier can use this deadly Z-Move attack, dealing out 200 damage and again ignoring the target's abilities. Back in the original Pokemon Sun and Moon, there wasn't a whole lot to do once you'd reached the very end of the game and saved the world. 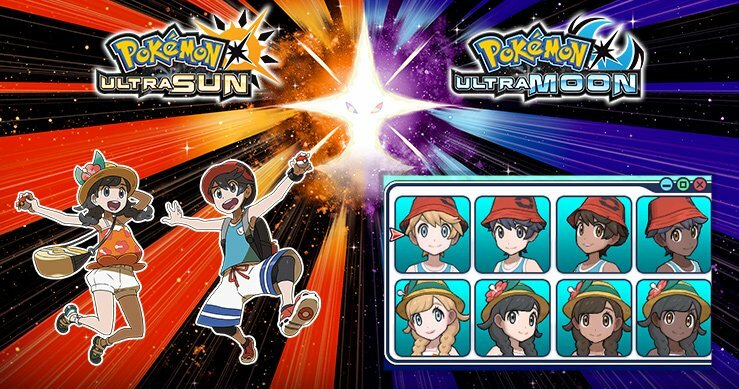 The Pokemon Ultra Sun and Moon endgame changes this up in a big way, as you'll now have the opportunity to embark on an all-new adventured once you've wrapped up the main story with Lillie, Hau, Nebby, and co.
You can now take down Team Rainbow Rocket in the Pokemon Ultra Sun and Moon post-game, and you can also use the Battle Agency feature, which lets you borrow Pokemon and take on a series of challenges with them. But perhaps the most alluring feature of the Pokemon Ultra Sun and Moon endgame is the ability to find tons of new Legendary Pokemon, that weren't previously in Pokemon Sun and Moon. 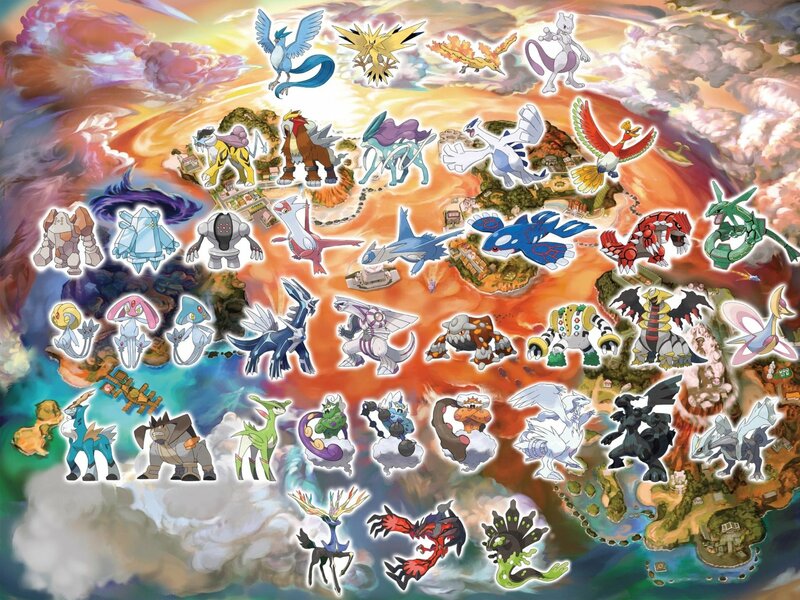 Check out the image of the Legendary Pokemon just below, for a visual list of all the Pokemon you can track down. A big highlight among the new Pokemon Ultra Sun and Moon Legendary Pokemon is Mewtwo, seen in the top of the image, as well as several other key Legendary Pokemon, including Pokemon Ruby's Groudon, and Pokemon Sapphire's Kyogre. We don't exactly know how you can track down and find any of the Legendary Pokemon pictured above, but we do know that they're out there, and waiting to be found by you once you've wrapped up the main story of the game. The Alola Photo Club is a feature new to Pokémon Ultra Sun and Ultra Moon, based off the incredibly popular ‘purikura’ machines in Japan. These machines allow you to scribble notes and place stickers and filters over your photos before you print them, allowing you many customisation options. This new mode is very similar, allowing you to set up scenes with your character and pokémon, as well as change the background, place stickers and effects, and alter their poses. When you’re done, these images can be shared through the Global Link. To unlock new backgrounds, you simply need to visit more locations. Each of the routes in the game, for example, unlocks a new background merely for visiting. You also get new stickers and poses for key in-game events like unlocking new Z-Crystals, using a pokémon from an older generation, or maximising a pokémon’s affection level. While this mode doesn’t have any bearing on the main game, you may just find yourself wasting the time away! This is all the total guides information we have right now on Pokemon Ultra Sun and Moon, although should be uncover anything new about either version of the game, you can be sure that we'll update our guides accordingly.